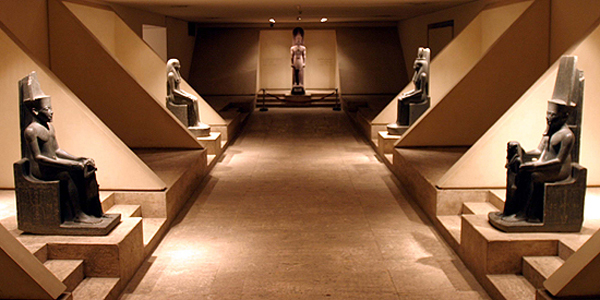 Exhibits span 3,000 years of Egyptian history, with concentration on the New Kingdom. Modern Luxor is ancient Thebes, which was the political and religious capital of Egypt during its golden age in the New Kingdom. Items from this time and place are among the most important of all Egyptian artefacts and the Luxor Museum has a fine collection. 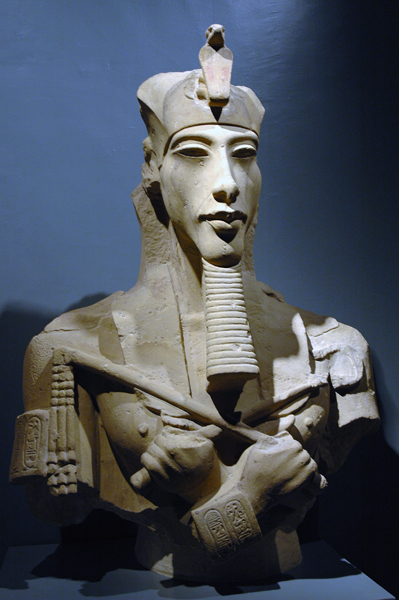 The museum displays some really exquisite statues, including a cache discovered in 2004 buried in Luxor Temple. Other highlights include treasures from the tomb of Tutankhamen, the mummies of two pharaohs and objects from the heretical Amarna period (when the pharaoh Amenhotep IV declared the sun disk Aten to be the supreme god, changed his name to Akhenaten and built a new capital, Akhetaten/Amarna, 250 miles to the north). Besides artefacts, the museum has wonderful exhibits demonstrating the daily life of ancient Egyptians. Visit the museum, Karnak Temple, Luxor Temple and the Valley of the Kings for a well-rounded experience. Click to see our Egypt tours. This entry was posted in Egypt and tagged Egypt, egypt tours, karnak temple, luxor, luxor museum, luxor temple, valley of the kings by yalla2013. Bookmark the permalink.